Nursing as a profession, came into existence as early as human existence. It is the foremost caring profession. It rested, savoured and consolidated its position through the ages by developing its own language, rituals, arts and sciences from the physical, psycho-social and spiritual needs of the patients. The history of Nursing Education and Practice in Nigeria is closely interwoven with the history of nursing as a universal profession, the history of education and the history of Nigeria itself. Modern Scientific Nursing started with the crusading efforts of Miss Florence Nightingale (1820-1910) during and after the Crimean War (1854-1856). 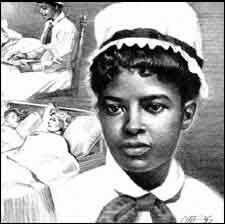 She combined Christian ideals, strict discipline and a sense of mission to open the door for what is known today as the nursing profession. Nursing was the first profession in the health industry to form an international organisation - the International Council of Nurses formed in 1899. In 1916, the Royal College of Nursing was founded, while in 1919 the General Nursing Council for the England and Wales came into existence. The early missionaries who arrived in Nigeria in the early nineteenth century, had the strong belief that Jesus Christ is the spiritual King, the greatest Nurse and Physician capable of caring for and healing whatever affects the body, mind and soul. They combined their missionary work with the provision of medical and nursing care to the sick. With the Amalgamation of the Colony and the Protectorates of Nigeria into one country in 1914, Nigeria became a colony of Britain. Nursing like all other professions developed and witnessed rapid changes to meet the changing needs of the society it serves. The first and second world wars also had impact on the growth and development of the nursing profession. Professionalism: NMCN aims to deploy the highest level of competence and expertise including sound judgment and caring behavior in the training and practice of nursing and midwifery. Transparency: Honesty and openness are the operational watchwords of NMCN in all its transactions with both internal and external clients. Accessibility:	Council operates an inclusive organization that is easy to approach, reach and understand by all staff and clients seeking to patronize it. Responsiveness: Council seeks to quickly and positively react to internal and external clients and conditions and aims to inculcate such culture in all its staff, nursing and midwifery students and those in practice. Efficiency: NMCN aims to achieve the best result possible with the least amount of resources necessary by ensuring best quality is deployed always. Dynamism: NMCN is an organization that is able to quickly and effectively adjust or adapt to changes in internal and external environments and wants its products to do the same. The history of Nursing and Midwifery Council of Nigeria has a lot in common with other allied professions, particularly in the health industry except that it came into existence before most if not all of them. Indeed, Nursing was among the first five recognised and accepted professions in the colonial era, hence recognition was transferred from the Home government. Nursing and Midwifery services were given prime of place because of their relevance and direct impact to the life, health and well-being of the individual family and community. Therefore, in the attempt to modernize Nursing Education and Practice in the colony at least to cope with the developmental pace. The colonial Government decided to introduce, gradually, Nursing and Midwifery education on a formal basis, to enable them render modern and scientific Nursing and Midwifery care to the civil servants and their families. In 1930, the Midwives Ordinance which established the defunct Midwives Board was promulgated to regulate Midwifery education and practice in Nigeria. In 1947, the Nursing Council of Nigeria was established by the Registration of Nurses Ordinance of August 1947 to regulate and control the education and practice of Nursing in Nigeria. From the humble beginning through the pioneering Midwives Ordinance of 1930 with its major Amendment known as the Mid¬wives Act of 1966 to the first Nurses Ordinance of August 1947 and series of Amendment, such as Ordinances of 1957, 1959, the Nurses Act, No. 2 of 1970; the Nurses Amendment Act No. 30, of 20th July, 1974, what started as two separate bodies were merged together into one big effective body by the enabling decree 89 of 1979. Since then it grew and developed more and more in status, functions and responsibilities as well as influence and authority as one of the foremost statutory professional regulating body with the largest scope, jurisdiction and professional personnel to control, supervise and regulate. The Nursing and Midwifery Council of Nigeria known as "The Council" is the only professional Council for all grades and Cadres of Nurses and Midwives. It is the only legal and administrative, corporate and statutory body charged with specific functions to perform on behalf of the Federal Government of Nigeria to ensure the delivery of safe and effective Nursing and Midwifery care to the public.